Jesus and Buddha both embraced the philosophy of love your enemy. 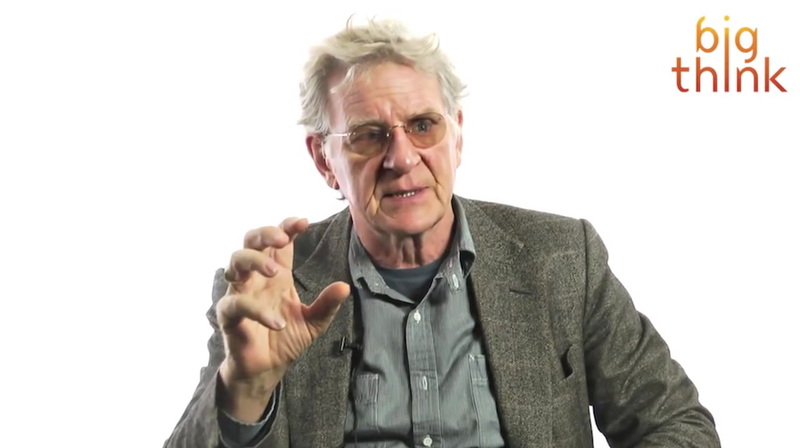 Columbia University professor Robert Thurman takes us through the history of vengeance and explains how to minimize contention between you and your enemies. Imagine if you lived in a society not governed by laws. What would happen to you if you caused another person injury? Your punishment would depend on how well you could defend yourself. Let's say you knocked out someone's tooth. They might knock out yours in retribution. Or they might kill you. Babylonian law put an end to this. Assuming you were of the same social rank as the person you injured, the punishment had to fit the crime: an eye for an eye, a tooth for a tooth. This principle, as barbaric as it may seem today, was an important step forward for civilization. A further advance was made by Jesus and Buddha, who both, according to Robert Thurman, Professor of Buddhist Studies at Columbia University, embraced the philosophy of love your enemy. Thurman is the co-author, along with Sharon Salzburg, of the book Love Your Enemies: How to Break the Anger Habit & Be a Whole Lot Happier. Salzberg and Thurman identify the enemies that are inside us and all around us, and they teach the essential lesson that making peace with, indeed loving our enemies, is the path that leads to healthy behaviors. After all, the enmity that fuels enemy relationships is never so large that it can't be overcome. Instead of returning anger with anger, Thurman advocates the practice of lovingkindness, a translation of the Pali word mettā that is found in the original Buddhist texts. Lovingkindness, Thurman says, is not an abstract idea but rater a practice that allows us to appreciate that everyone, including our enemies, want to be happy. And so instead of reflexively categorizing people as bad and wasting our energy by fighting them, we can elevate kindness and compassion "as the strengths they really are." In the video below, Thurman explains how the concept of "love your enemies" is sometimes difficult to understand in a modern setting. "People get nervous about it because they think if you love your enemies it means you're going to cave to them, you're going to be a martyr, you're going to invite them to come and destroy you and just be a masochist and so forth," he says. However, that is not what love means. "You can have fierce compassion," Thurman says, pointing to the example of Dr. Martin Luther King Jr., who told his followers during a Civil Rights march in Birmingham that hatred was "a ridiculous waste of our energy." "If you go around nursing hatred and vindictiveness" and how to get back at your enemy, Thurman says, "you're hurting yourself."